FAR has always been an innovator in Armenia, and this is especially true when it comes to our healthcare programs, which have broad impact. One of our recent projects is no exception. 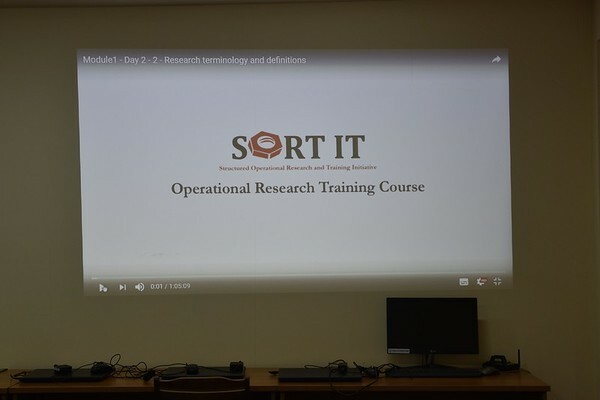 A new cooperation with the World Health Organization (WHO) and the Republican Scientific-Medical Library of the Ministry of Health of Armenia (RSML), entitled “Structured Operational Research and Training Initiative” (SORTIT), will support 12 healthcare providers to make a difference through their work. SORTIT will provide guidance to these physicians as they conduct research-based study in the fields of tuberculosis, infectious diseases, regional nutrition, and pediatrics, etc., so they can bring attention to their work by properly organizing their research and publishing their results in well-known international journals such as BioMed Central and Public Health. The initiative, which was launched by FARFAA Board Member Dr. Gevorg Yaghjyan, is in its nascent stages, and doctors have so far discussed study design, population, sampling, and variables of the research topics. “One of the goals of our meetings was operational research and capacity building,” noted SORTIT’s national coordinator Dr. Karapet Davtyan. The 12 doctors for the project were selected among 30 who submitted applications to FAR’s Fellowship Alumni Association (FARFAA). FAR FAA was formed 18 years ago by the group of Armenian physicians who, beginning in the late 1990s and through the early 2000s, were trained in United States with FAR’s full support. Upon their return home they formed FARFAA as a way to share their knowledge with the Armenian medical community. The FARFAA even pushed to have Armenian doctors participate in the American-Austrian Foundation’s “Salzburg International Medical Seminars” program, which they helped to coordinate until 2016. They also had the critical role of supporting Armenian doctors working in rural and remote regions. It was in 2005 when FARFAA started FAR’s Continuing Medical Education (CME) program, which has already helped more than 750 physicians from Armenia’s regions and Artsakh to broaden their medical knowledge at Yerevan’s leading clinics. CME has also helped to create a network between medical professionals throughout Armenia and in Artsakh, and to coordinate the delivery of medical supplies and equipment to hospitals and clinics in need. “It’s not just about our efforts and work done. With time, we have learned to share our knowledge with our colleagues, but most importantly, we have acquired new friends from different regions with whom we are happy to exchange knowledge and experience,” said FARFAA Board Member and neurologist Dr. Bella Grigoryan during the recent annual meeting of CME program mentors. SORTIT has as its ultimate goal to better Armenia’s health care as well. Giving doctors the resources and means needed to publish their research may help to bring international attention to their work as well, and to the progress being made in Armenia’s healthcare system as a whole.